In late November, 2016, I asked Pierre Miodownick if I could come by the winery to taste his new 2014 Latour Netofa red, and he was very kind to let me come by again. I normally visit Netofa Winery once a year in February, and I taste the new wines of that vintage. This time, there was no 2015 vintage, yet I came anyway to taste the new 2014 Latour White, and re-taste some older wines, in early 2016. When I arrived – Mr. Miodownick was there and we tasted through many of his wines again. I must say, that netofa reds and whites age so well, like classic French wines. 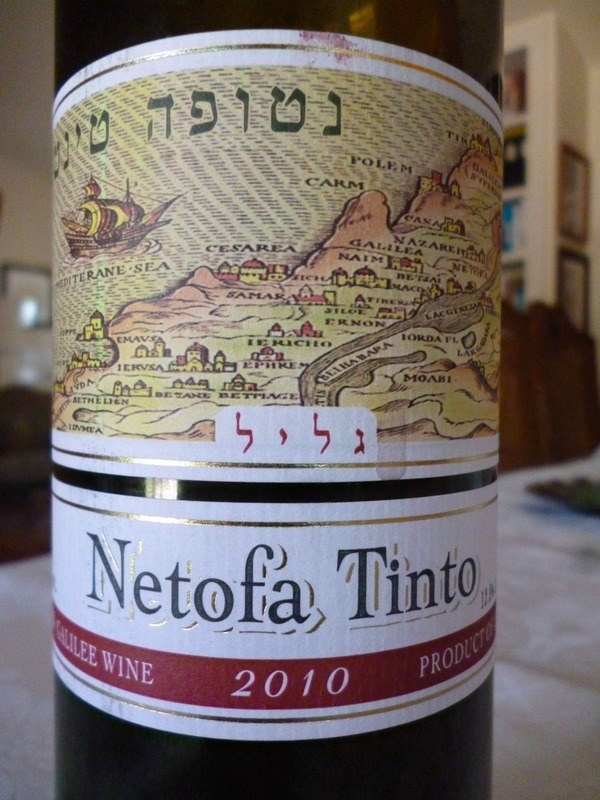 I have posted often about Netofa Winery in the past four years, and I think it is one of the top 5 wineries in Israel, when you look at its quality, price, and the fact that they rarely to ever have duds. Add in the fact, that they make great old world wines in a New world climate, for both the reds and whites, and you quickly understand why they are in my top 5 of Israeli kosher wineries. This time we once again tasted some lovely older wines, side-by-side some newer ones and once again I was blown away from how old-world the wines tasted. Mr. Miodownick really has it down pat by now, and as the vines grow older and get more in tune with their environment, the wines will only get better and better. In case you missed it, I made the 2014 Domaine Latour Netofa red one of my top 25 wines of the year. WOW what a nose! This wine is also 100% Chenin Blanc, but was aged in French oak for 7 months. The nose on this lovely wine is stunning, with rich smoke, flint, green notes, with intense straw, and hay, really lovely floral notes of cassia, and ripe apple but dried fruit as well, lovely. The mouth on this medium bodied wine is rich and viscous, with ripe but dried tart fruit of green apple and quince, with beautiful brioche and straw, along with beautiful mineral, Asian pear, with saline and herb, WOW. The finish is long and buttery with great viscosity, but perfectly balanced with lively acidity, butterscotch, caramel, and lemon, lovely. BRAVO!! So the previous vintages of this wine were medium bodied but this one was full and layered and viscous – impressive! As I said before, these wines are improving and changing as the vines have more age under their belts! WOW what a nose! This wine is also 100% Chenin Blanc, and was aged in French oak for 7 months. To be honest there are not many kosher wines like the Tinto around now a days. The 2010 Tinto is a blend of Touriga Nacional and Tempranillo. The blend sounds more like a hybrid of Portugal and Spain, but really, Tempranillo also grows in Portugal – under the name, Tinto Roriz, and it is a blend used in Portugal and other parts of the world. The Weiss Brothers made a WONDERFUL wine with Touriga Nacional, the 2010 Shirah Coalition. This wine is still available here and there. There is also the Yarden 2T, which I did not like in 2009 as much as I liked the 2008 vintage. Those are the only kosher wine made dry with Touriga Nacional, that I know of. Thanks Yed for correcting me! There used to be kosher dry wine from Portugal, Casa Da Corca, Reserva, Douro that had the same blend, but they did not make any new kosher vintages, and the 2006 was getting long on the tooth. The Casa Da Corca never displayed notes of blue fruit that are all over the 2010 and 2011 Doamin Netofa Tinto. Still, the makeup is similar with deep earth, smoke, spice, dark fruit, and great acid. The wine is a blend of Tempranillo and Touriga Nacional – classic Portuguese varietals that are showing well in Israel. The garnet colored wine opens on the nose with heavy heat, but with time shows ripe blueberry, smoked meat, nice coffee, red berries, and licorice. Medium bodied in the mouth with some complexity, but lacking the concentrated fruit of its younger 2011 brother, showing with blackberry, ripe plum, and sweet cedar, wonderful acid, and hints of green notes. The finish is long and spicy with bakers chocolate, black pepper, and more acid. Drink UP!